This exquisite book by the founders of the studio May & Berry shows you how to create beautiful messages through the combination of hand lettering and watercolour. 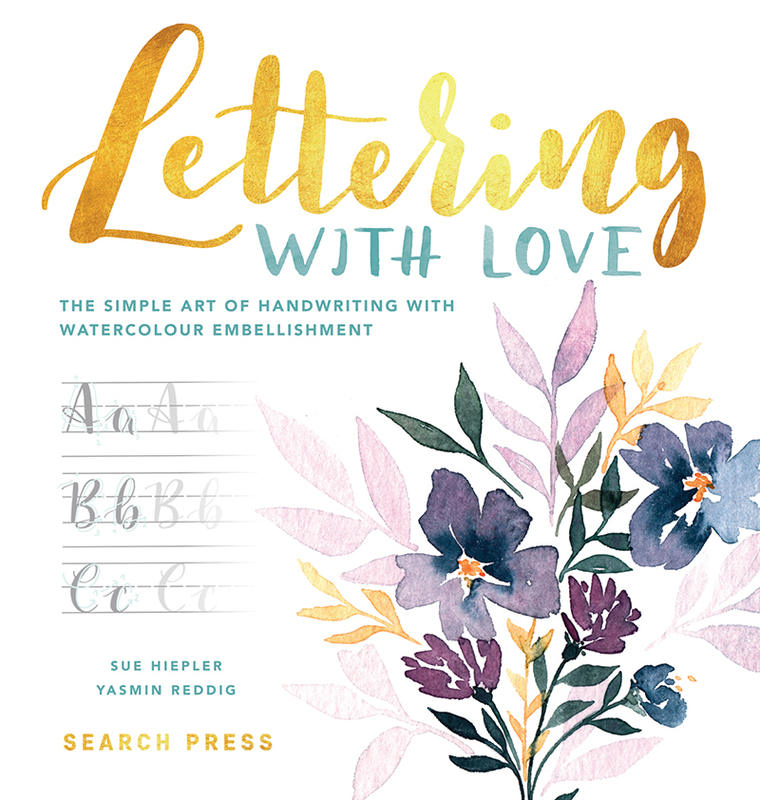 Broken down into easy-to-follow stages, you will soon learn how to use different pens and inks to produce gorgeous lettering, embellished with simple yet stunningly effective watercolour motifs. This practical book guides you gently through the materials and tools you need to get started, and sets you on your hand-lettering journey with some simple exercises. There are then ten pretty step-by-step projects for you to try, after which you’ll be confidently creating your own handwritten artworks that you can display on your wall, send as notecards to loved ones, or use to decorate your journals and scrapbooks. At the back of the book there is a treasure trove of gorgeous botanical-style motifs and borders along with four delightful alphabets created by the authors in a variety of scripts perfect for gently encouraging beginners and inspiring more experienced hand-lettering artists to play with new designs and styles. This is followed by six handy worksheets on which to practise your letter-writing technique. Exercises for drawing and painting your letters included, along with several alphabets for different script styles. In addition is a gallery of gorgeous botanical motifs, from flowers to cacti, for inspiration and tracing.